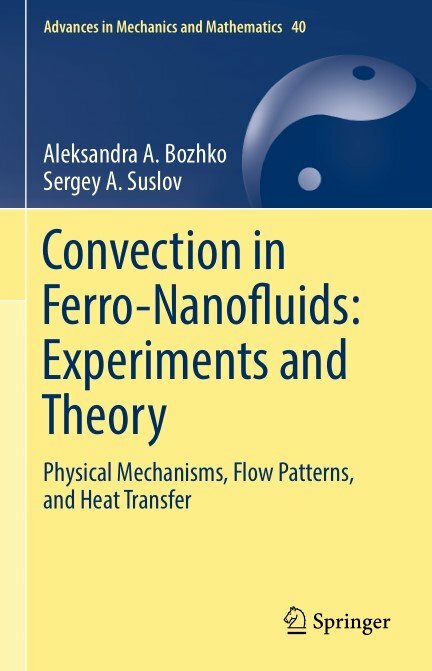 This book covers the experimental and theoretical study of convection in non-isothermal ferro-nanofluids (FNFs). Since FNFs are not transparent and magnetic fields are very sensitive to the shape of the boundary between magnetic and nonmagnetic media, special flow visualization techniques based on the use of thermo-sensitive liquid crystal films, infrared cameras, as well as local and integral temperature sensors are discussed in the book. This book considers several major configurations of convective chambers and the applied magnetic field. For each of them, the stability boundaries are determined theoretically and experimentally. The physical types of dominant instabilities and the characteristics of their interactions are subsequently established using linear and weakly non-linear hydrodynamic stability analyses and elements of bifurcation theory. The book also discusses the potential of using magnetically controlled ferro-nanofluids as a heat carrier in situations where heat removal by natural convection is not possible due to the lack of gravity (orbital stations) or extreme confinement (microelectronics).